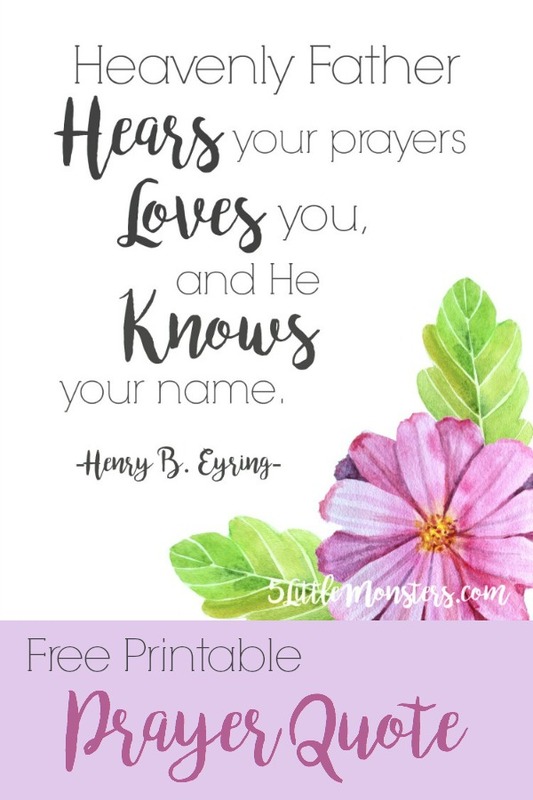 Number 7 in my series of 8 printable quotes based on the principles that are part of the #PrinceOfPeace Easter campaign on Mormon.org is prayer. 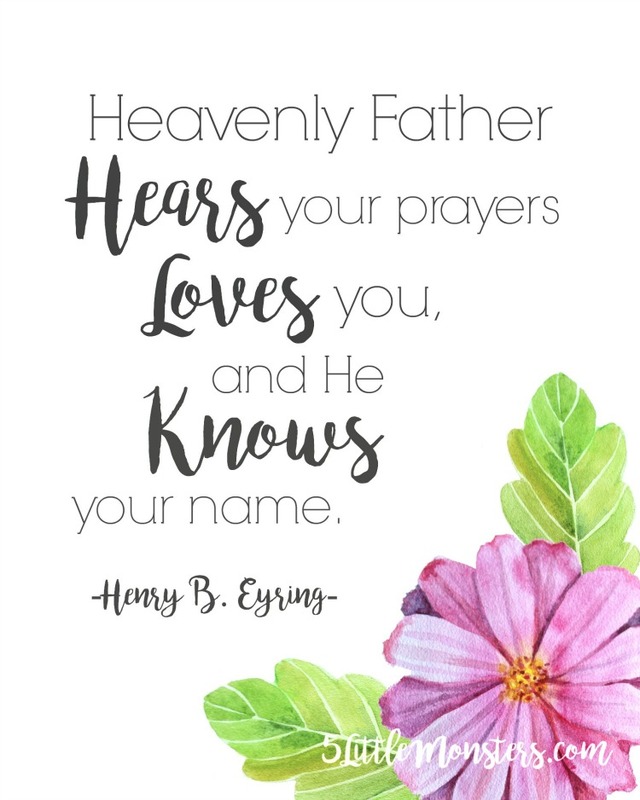 I had a hard time choosing a quote for prayer because there were a lot of really good ones that I came across as I was looking but I ended up choosing this quote by Henry B. Eyring "Heavenly Father hears your prayers, loves you, and He knows your name." 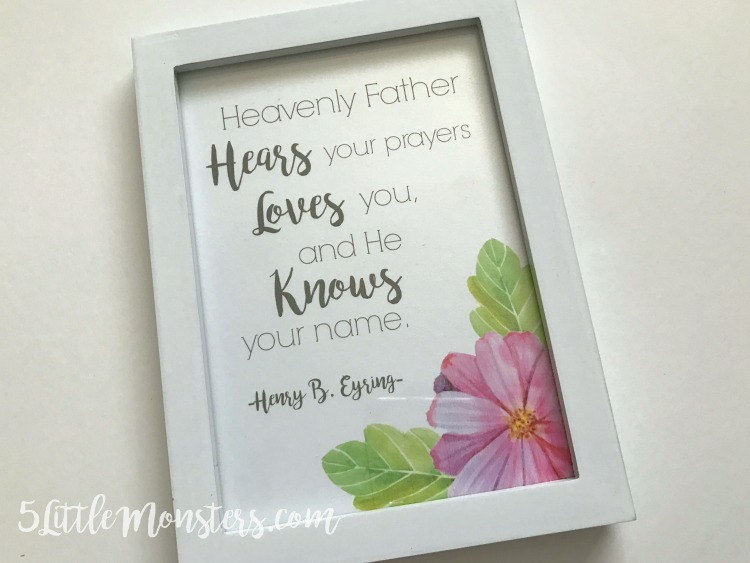 Just like with the others, with the exception of the scripture bookmarks, this quote is available as a free printable in either a 5" x 7" or 8" x 10". 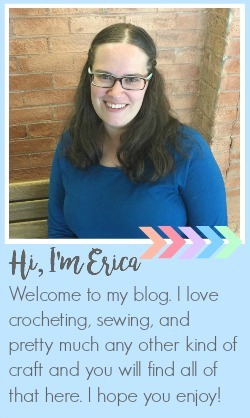 Click the links below to download the files.